The summer of 2015 is on it's way out the door and we want to wish it one final goodbye on this weeks episode of the BWB Podcast. We are only a few days away from the arrival of fall, and that means another summer is in the books. While the summer of 2015 seemed to fly right by, we want to recap all the fun and excitement that came your way at bumwinebob.com these past few months. What was your top summer moment? Let us know! One week of NFL action is in the books as we look ahead to ... See More another full slate of Sunday football games. The BWB NFL Pick 'Em league is in full swing and the action is heating up! The Jayman from IWS Radio is currently in the lead after week 1 with a 12-4 record. You can check out everyone's week 2 picks here. The Forty Of The Week has returned! 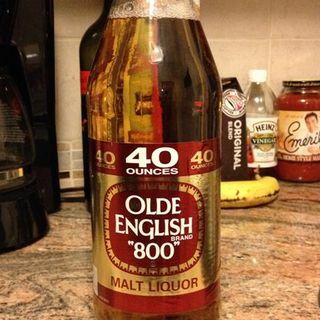 After a five month hiatus, we have announced Olde English 800 as the BWB Forty Of The Week! A fitting classic to be inducted with all our other old favorites. Also, WWE Night Of Champions is LIVE on the WWE Network this Sunday. The man called Sting will be in action as he battles for the WWE World Heavyweight Championship for the first time ever! Remember that anything can happen in the WWE! Need some fantasy football advice? I can't guarantee it will be any good, but you can always call in and ask!